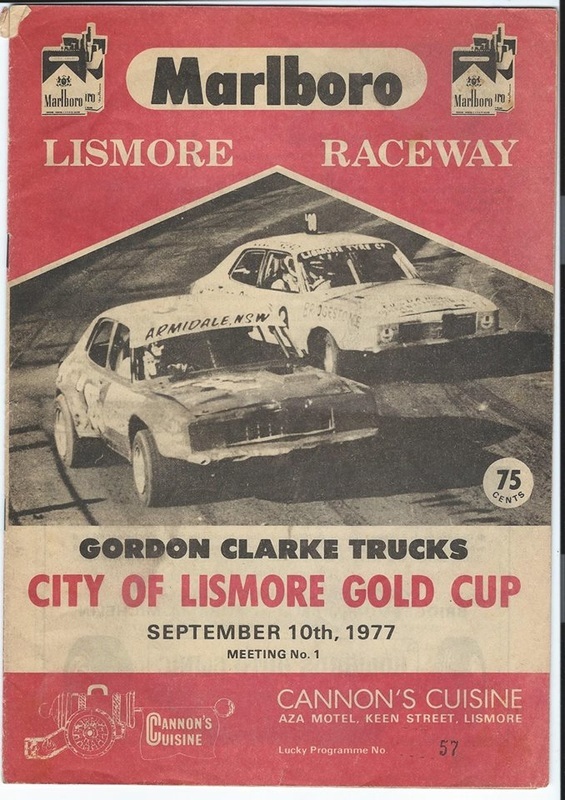 Alan Streader recalls: Back in my speedcar days we went to Lismore on one occasion as a support division for the New South Wales Sprintcar Championship, I had won the speedcar feature and Billy Wigzell had won the sprintcar tital, The racing had gone well all night and they looked like finishing early. 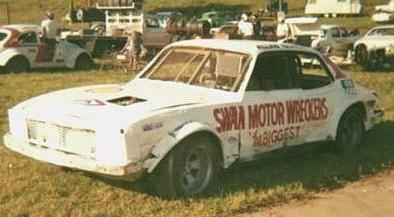 To keep the crowd entertained until a reasonable hour the promotor approached me and Wigzell about running a match race series, best of three. 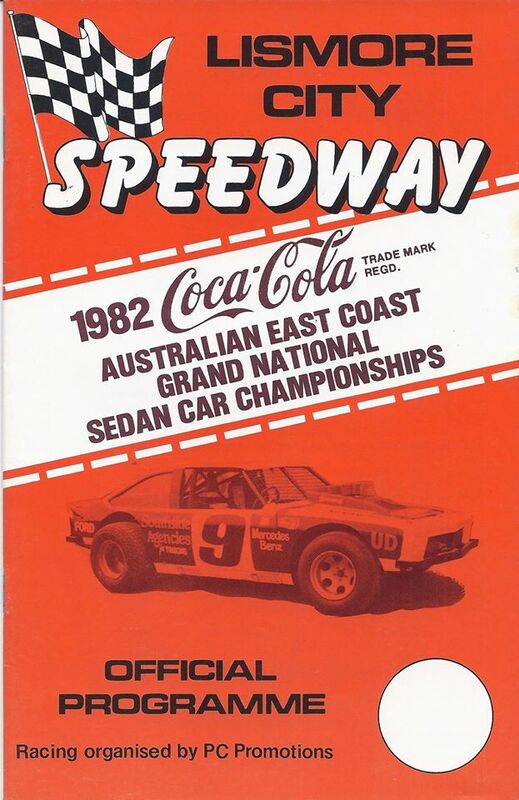 We both agreed and my little Volvo speedcar lined up against Billy "Suddenly" It had been pre-arranged that the series would be a tie, First race, Streader pole, Wigzell outside, Billy pretended to miss the start, I won, Second race Wigzell a win around the outside,Race three a dead heat, The crowd wanted a result, we both said no thanks that enough. 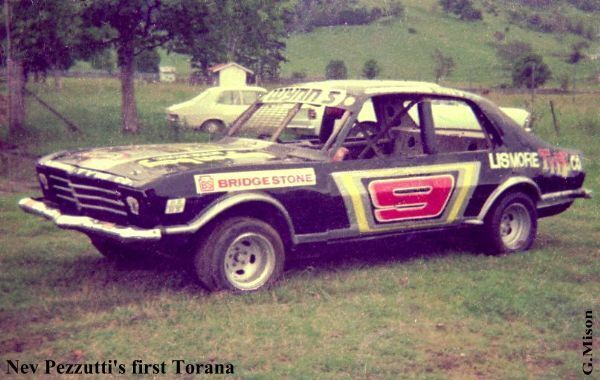 Allan Blake from West Australia in the Torana Photo: unknown. 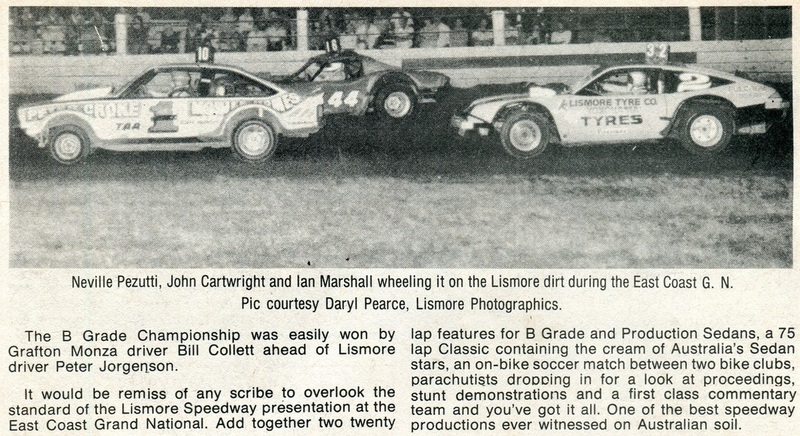 1975 - The late Barry Harrison in the Mini locked in battle with Grenville Anderson at the Lismore Showground track. GRENVILLE ANDERSON: The LISMORE EXPRESS.